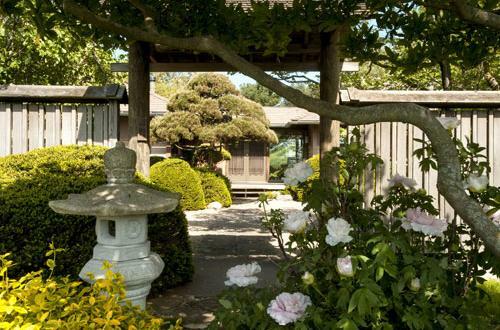 Jim Bier created a garden modeled on those he's admired in Japan. Jim Bier first visited Japan when he served there in the military at the end of the Korean War. He attended the University of Illinois for his undergraduate and graduate degrees and stayed to teach geography and work as a cartographer. He and his wife Lorene eventually bought a piece of property on South First Street in Champaign and hired the late John Replinger, a UI architecture professor familiar with Japanese design, to build a house there. “I think he blended the idea of Japanese architecture into this American house,” Jim Bier said. Lorene Bier first traveled to Japan in 1971, and she loved it as much as her husband. Bier is a woodworker and he made all the furniture in the home. To plan the garden for the property, he also began researching and reading landscaping books and looking at photographs. He’s been back to Japan seven or eight times, including a three-week trip in June. Each time, he studies and photographs gardens. He’s seen all the major gardens in the country and observed how the rocks were put in and what plants were being used. Bier said a major theme in Japanese gardens is borrowed scenery — for example, a temple with a view of another temple or a mountain. He used that concept for the theme of his garden — four ridges planted with a variety of flowers and trees, with a view of Yankee Ridge in the distance. He brought in 16 truckloads of dirt to build up the ridges that first year of creating his garden, and he added large rocks. Several at the front of the house came from Lorene Bier’s childhood home on a farm near Sadorus. The excavator working on the home brought in two truckloads of rocks from the foundation of a grain elevator that was being torn down. “I really lucked out. They’re the core of this garden,” Bier said. “Rocks are far more important than plants in a Japanese garden,” he added. And Bier, who has an undergraduate degree in geology, likes showing off the more interesting ones. His favorites are those that have not been worn smooth by glaciers but have rough edges and ridges. One such rock sits against a backdrop of a Cameo flowering quince shrub, blooming in the spring with apricot-colored flowers. Flower beds include iris and chrysanthemums. Something is always blooming in the Biers’ yard. But evergreens make up about two-thirds of the plants in Japanese gardens, Bier said. Japanese yews and Korean boxwoods are the mainstays. Bier grows an evergreen candytuft with white flowers. The garden has three Juniper trees that take about five hours to prune, Bier said. He wanted a “woods,” and a semi-wild garden with native plants. Trout lilies provide early spring greenery, mayapples produce a low canopy with their umbrella shape and woodland poppies sport yellow blooms. Also under the trees grow ginger, hostas, ferns, about a half-dozen varieties of trilliums, lilies of the valley and a Japanese variety of epimediums that bloom red and yellow. He has some wild hawthorn trees that he dug up from the woods and transplanted in his yard, and there are flowering crabapples and a Siberian or Amur maple, which is the only maple with a fragrant blossom, Bier said. He has tried repeatedly to grow Japanese rhododendron but has been unsuccessful due to a disease problem in the soil. “He tries them, puts them in, they die. He tries them, puts them in, they die. He won’t give up,” Lorene Bier said. As important as the plants is the water. The Biers have a fish pond with about 50 goldfish. The pond is fed with water from the home’s sump pump. A creek winds away from the goldfish pond, curving around the ridges and running toward the back of the property, where it ends at a settling pond. The settling pond is lined with forsythia and Jim Bier is growing a wall of cattails. “Japanese gardens always have water or the suggestion of water,” Bier said. In front of the house is the suggestion of water — the “dry garden.” The pebbles represent water — “It can be a pond, a lake, an ocean, whatever you want it to be,” Bier said — with the path to the house as a causeway. “Islands” of larger rocks are placed throughout the dry garden. A vertical rock evokes a waterfall, and another a boat with a high bow. Bier’s most prized possession in his garden is the Mugo pine near the front of his home in the dry garden. He prunes the dwarf pine twice a year in a traditional Japanese way — keeping the branches open and shaping it by cutting back some new shoots and allowing others to grow a branch longer or wider — rather than having a large crown on top that shades everything underneath. It takes from 10 to 20 years to see results, Bier said. His biggest task in keeping his garden looking good is the pruning. 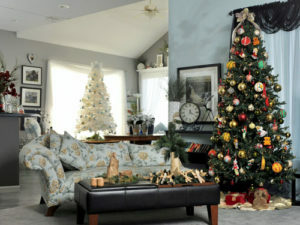 “Every bush has to have some attention every year, and nearly every tree is looked at,” Bier said. The garden has ornamental Japanese stone lanterns throughout, placed at locations where they might illuminate a junction of walkways or an important element in the garden. “They’re beautiful in wintertime too. The lanterns look so pretty with a little bit of snow on top,” Lorene Bier said. The garden also includes a gazebo, a vegetable garden in the back, a compost pile and a shed for gardening equipment. Lorene Bier loves to cook Asian food, and the couple grows Japanese cucumbers, Japanese eggplant and bitter melons — all common in southeast Asia — as well as rhubarb, strawberries, asparagus and many other vegetables. The Biers’ home and garden has been part of the Champaign County Master Gardeners’ Garden Walk three times, including in 2012. In addition to the work he’s done on his own garden, Jim Bier created the gardens for the UI’s Japan House in 2000. He has since built a tea garden and a dry garden. This year, he’s working on a cut flower garden, to use for flower arranging. Judy Edmundson's flower arrangements grace her ever-changing decor.